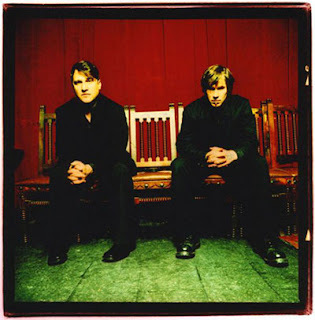 Mark Lanegan (Screaming Trees) and Greg Dulli (Afghan Whigs) have been hinting at this collaboration for close to 10 years. Both of them boast incredibly robust resumes and undeniable talent as musicians and songwriters. Anyone familiar with the Screaming Trees or the Afghan Whigs will realize that this team could write nothing but perfection. These songs drone, twist and build in dark, somber, late-night spirals. I can't find any mention of other band members so I assume they handled all of the musical duties themselves. This could explain some of the overall tone of this record. It has a lush sophistication, while retaining a stripped down simplicity. You wont find a note out of place on this record.